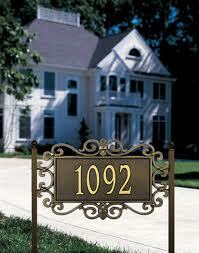 Find Your Personal Address Numerology Meaning! Numerology is something which is very much in ‘the air’ these days. All of us have definitely heard of Numerology. Numerology is the system, belief or tradition of mystical relationship that exists between the reality and the numbers. The main ingredient of practicing numerology is the numbers - any number that is significant to you in your life; a number that indicates the possibility for you in your life. The basics of numerology are dependant on the teachings of Pythagoras. The "energy" represented by these numbers can have a profound influence on your personality, health and well being. Numerology is one way of tapping the power in an individual. Our home address numbers, which is commonly known as Personal Address Number can be used to indicate your hopes, dreams and desires. It also indicates the type of energies and qualities you have within you and the personality of the people surrounding you. Positive Keywords – Independence, Service And Self Motivated. Negative Keywords – Aloofness, Critical And Procrastinate. Brief Description – These people can be very critical of themselves. They always have issues surrounding time, creativity, independence, personal safety and perfection. Positive Keywords – Commitment, Creativity, Doer And Family. Negative Keywords – Thievery, Giving, Clumsy And Selfish. Brief Description – Issues concerning their sense of well being, personal communication and balance concerns them the most. They enjoy helping others and shouldering responsibilities. Positive Keywords – Strength, Persuasive, Abundance And Giving. Negative Keywords - Weakness, Introvert And Pessimistic. Brief Description - Personal power, money, abundance, balance and commitment concerns them the most. Constant evaluation for checking their satisfaction is done. Positive Keywords – Leadership, Experience And Patience. Negative Keywords – Cowardice And Melodramatic. Brief Description - Love, forgiveness, and hope are the main issues in life. Positive Keywords – Schooling, Caring And Respectful. Negative Keywords – Ignorance, Suppressive And Observer. Brief Description – These people have issues involving expression, will power, truth and education. They are excellent problem solvers. Positive Keywords – Understanding and Compassion. Negative Keywords – Bigotry And Deception. Brief Description – They are great achievers and issues concerning hopes support, dreams and compassion are the top priorities. Positive Keywords – Organizing, Ruler, Foresight And Beneficial. Negative Keywords – Dictatorship, Two Faced, Callous And Superficial. Brief Description - These people love to be the center of attention and enjoy positions of authority/responsibility that allows them to interact with a wide range of people. Positive Keywords – Athletic, Supportive And Informative. Negative Keywords – Apathy And Dominating. Brief Description - These people have issues involving stamina, courage and determination. Positive Keywords – Intuition, Peacemaker And New Beginnings. Negative Keywords – Egoistic, Ambivalence And Loss. 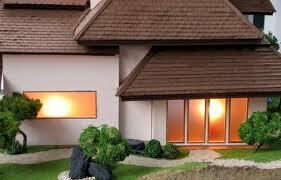 Brief Description – As they have a very good empathy so they become very good care givers. It is important to know that no form of divination should be used as a substitute for your own will. Over reliance on something tends to sweep you out of your own powers and responsibilities. The best use of numerology is to use it as a tool which will enable you to unlock your own potentials.